It can be found from cisco support download site. 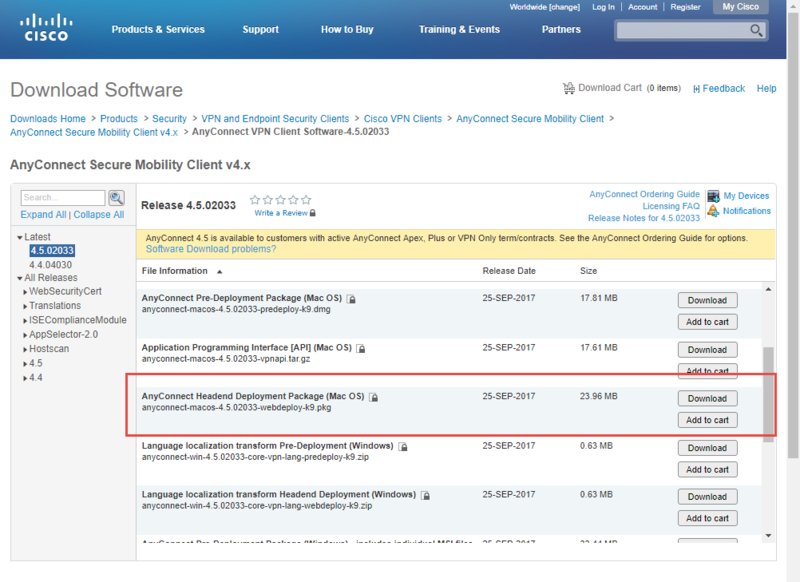 Here is a screenshot of which package you should download. System image file is "usbflash0:c1900-universalk9-mz.SPA.154-3.M3.bin"
Cisco CISCO1921/K9 (revision 1.0) with 491520K/32768K bytes of memory. 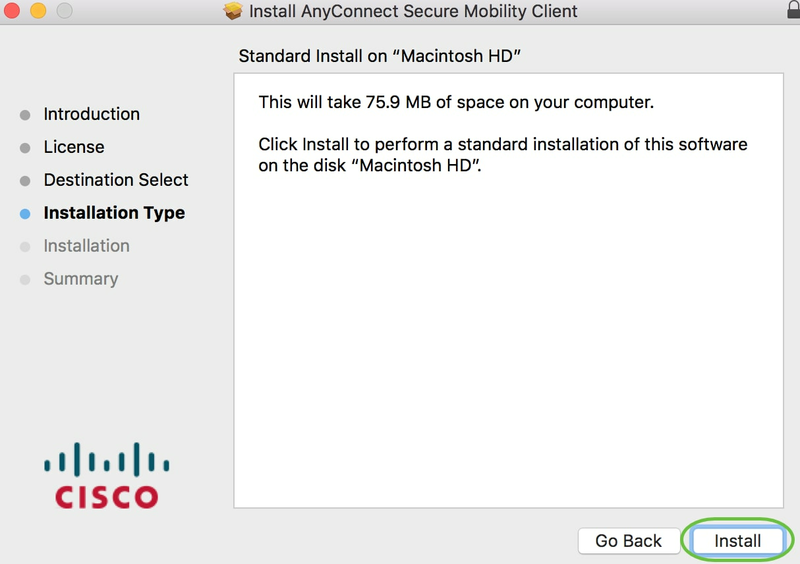 Loading anyconnect-macosx-i386-4.3.02039-k9.pkg (via GigabitEthernet0): !!!!!!!!!!!!! After you copy the AnyConnect image to the flash of the Router, it must be installed via command line. 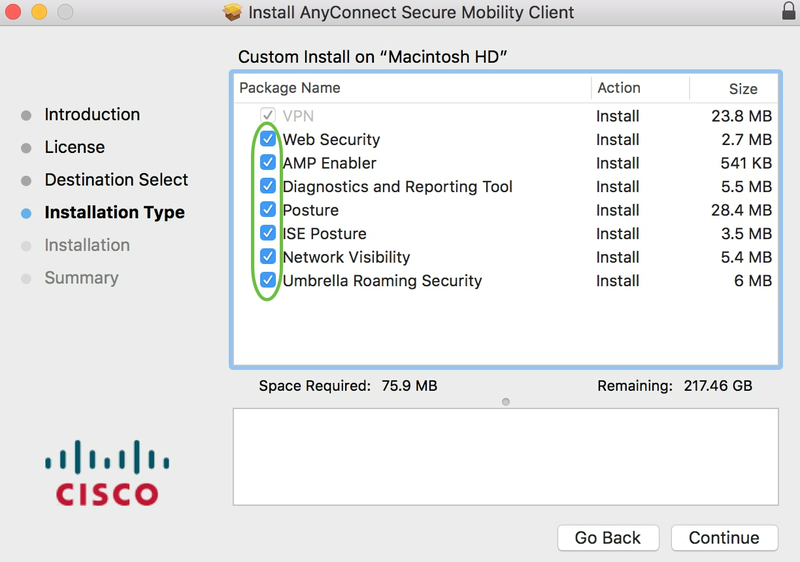 Multiple AnyConnect packages can be installed when you specify a sequence number at the end of the installation command; this will allow for the Router to act as headend for multiple client operating systems. 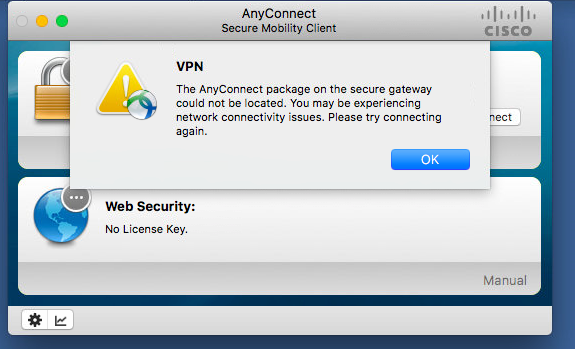 When you install the AnyConnect package, it will also move it to the flash:/webvpn/ directory if it was not copied there initially. Step 1. 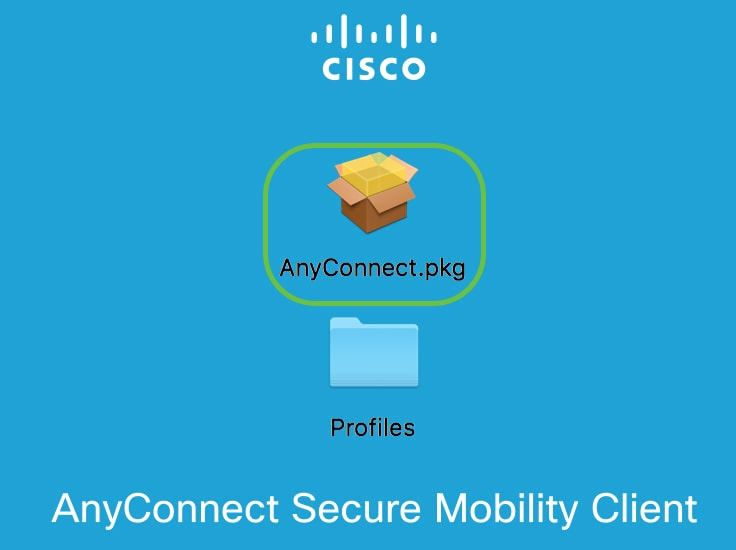 Download AnyConnect here. Step 2. 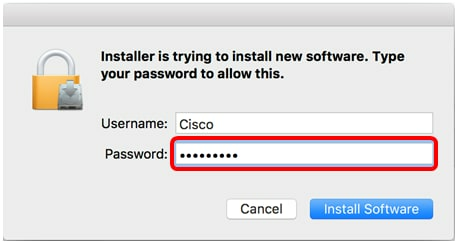 Double-click the downloaded installer dmg file. It will be auto-mounted as a disk and show you the contents inside. There were be two items, one is pkg file and another one is Profiles folder. Double-click pkg file. Step 4. 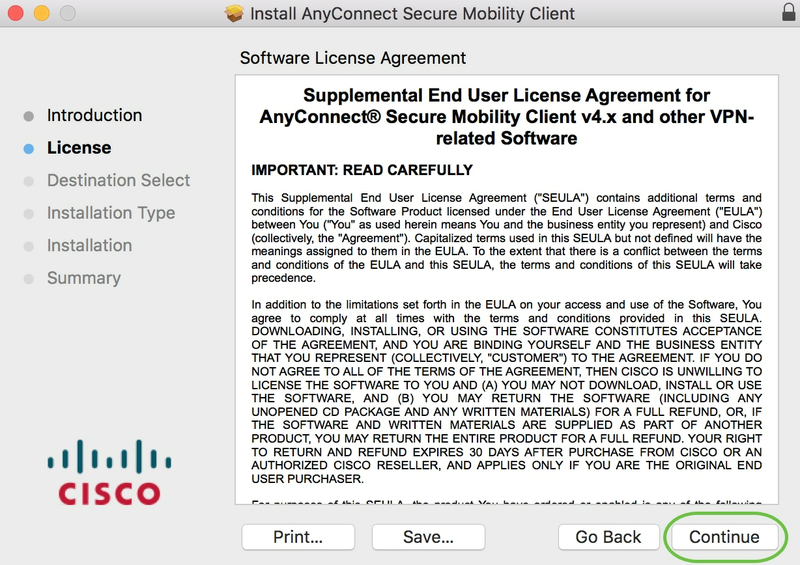 Go over the Supplemental End User License Agreement and then click Continue. Step 6. Choose the components to be installed by checking or unchecking the corresponding check boxes. All components are installed by default. Step 8. 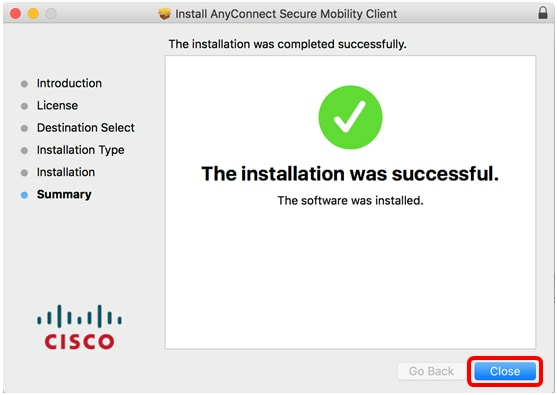 (Optional) Click Change Install Location to manually specify the path to install AnyConnect. Step 10. 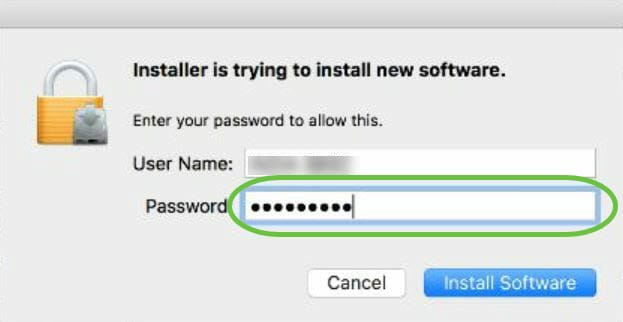 (Optional) Enter your password in the Password field. Step 11. 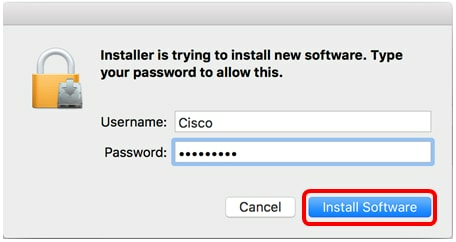 Click Install Software. 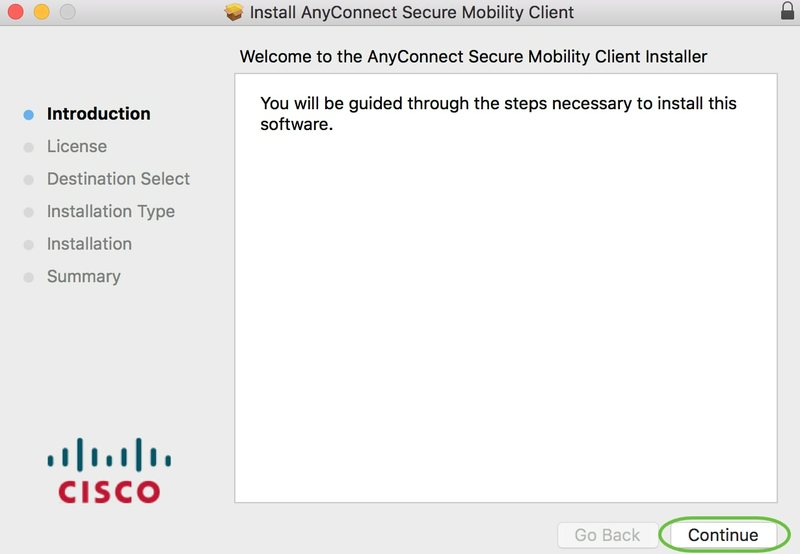 You should now have successfully installed the AnyConnect Secure Mobility Client Software on your Mac computer.